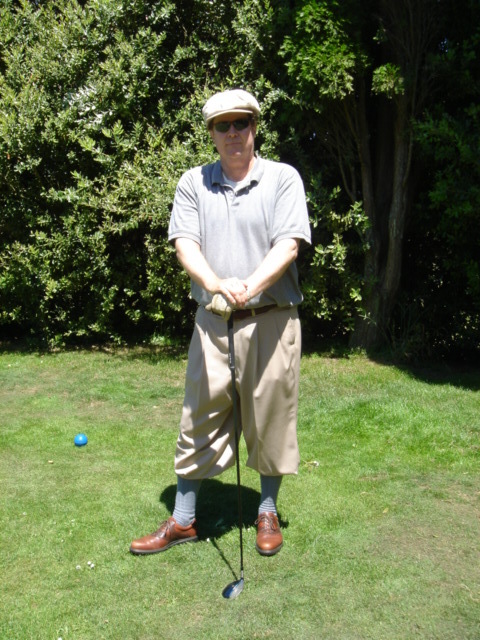 I want everybody to know I am not just hanging out with some villains on a golf course! I am also making major strides in organizing my next book project, the manuscript of Do You Follow Me? : Fragments of The Jura Lama as interpreted by Trungpa Bumbleché, a monumental work of few words. I know your number so you don’t need mine. At the same time work proceeds apace on the studio album Salon des Refuseés and on the Bruce Litz illustrated book of my best showpieces, titled Uncommon Knowledge, coming out via Zeitgeist Press. 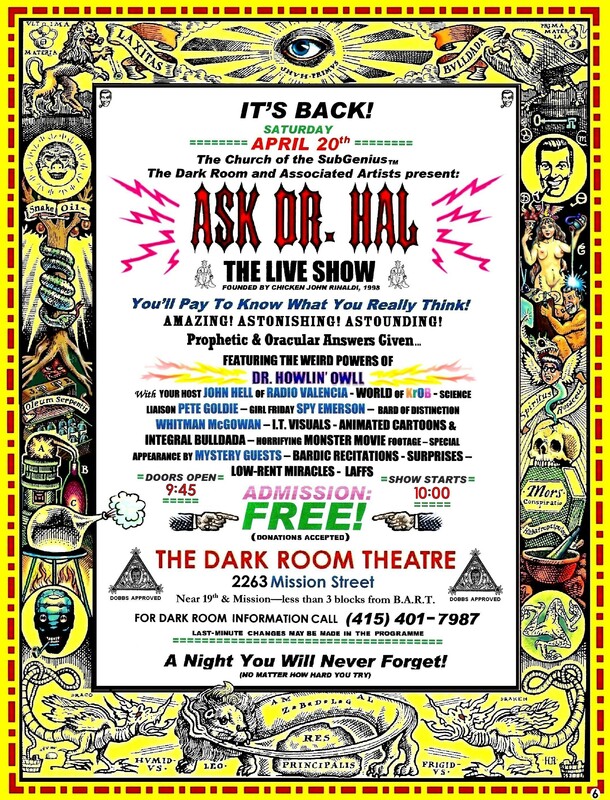 It’s also time to show my face in public again so I’m doing a bit in the next Ask Dr. Hal show 10pm Saturday April 20 at The Dark Room Theatre, 2263 Mission Street, between 18th and 19th, San Francisco, CA 94110. Call 415-401-7987 for info. Also in SF I am looking into booking my own variety show at The Beat Museum. Return to Treading the Boards 1/18/14!